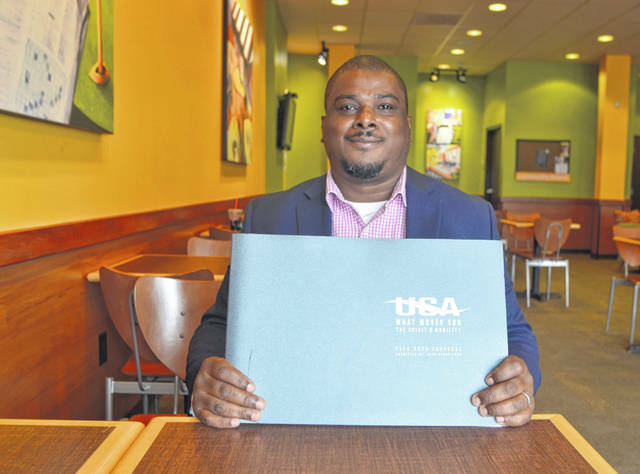 LIMA — Lima native Carlton McLellan is gaining worldwide recognition with a new international project that is promoting not only the United States but the Lima region, as well. Several months ago, McLellan took on the role as the one of the lead writers for the Big Things Group’s proposal to raise money for the USA Pavilion at the 2020 World Exposition. On June 5, the U.S. Department of State announced their proposal was the winning submission. The World Exposition is a six-month fair in Dubai where 170 nations build pavilions to showcase their culture’s music, food, sports and innovative technology. Approximately 26 million people are expected to attend the expo from Oct. 2020 to March 2021. As the writer for the proposal, McLellan was tasked with not only writing a proposal about opportunity, sustainability and mobility, but also coordinate and manage seven member organizations of the Big Things Group consortium. One of those members is George P. Johnson, a entertainment and marketing company that will design most the pavilion’s entertainment experience. Other members include Fentress Architects and Giuliani Associates, two architectural firms, Highwood Capital, a large fundraising firm, the University of Southern California’s Center for Public Diplomacy, New York University’s Abu Dhabi campus and Global Ties, a U.S. a non-governmental organization that McLellan works for. The pavilion will offer space exhibits that feature the Aldrin Space Institute. Buzz Aldrin and Wapakoneta native Neil Armstrong were the first astronauts to visit the moon. Also as as a way to promote Ohio and his hometown of Lima, McLellan said that the Virgin Hyperloop One will be showcased in the pavilion. Virgin Hyperloop One is a company that has chosen a route including Lima as one of 10 routes to develop a hyperloop in the future.